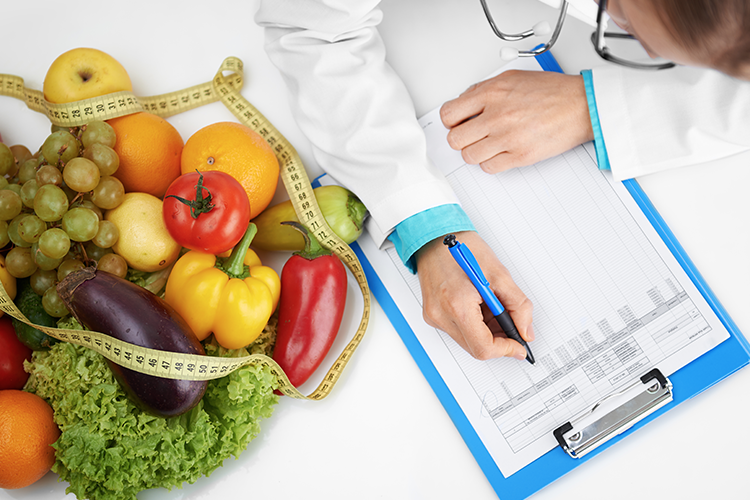 Sciblogs | Dietary counselling – how effective and cost-effective is it? Dietary counselling – how effective and cost-effective is it? In this blog we consider recent literature (particularly reviews) on the effectiveness and cost-effectiveness of dietary counselling as a health intervention. Most studies suggest that dietary counselling is effective though the benefits are typically modest and short-term. The literature on cost-effectiveness is mixed, and there is substantial uncertainty about long-run cost-effectiveness given the typically short-term trials involved. Addressing the obesogenic environment will have potentially (much) larger gains, and due to substantial reductions in obesity-related disease it is likely to be cost-saving. However, governments, policy-makers and the public are often interested in counselling interventions, necessitating close attention to cost-effectiveness of these interventions relative to more structural changes to the environment. In NZ, dietary counselling is delivered by dietitians, practice nurses, doctors and various allied health workers (from community health workers to personal trainers in gyms). Such counselling often relates to weight management (to prevent or manage obesity-related diseases such as diabetes) but also to address risk factors for cardiovascular disease (CVD) ie, high blood pressure, high lipid levels etc (eg, some people might prefer dietary counselling to starting on CVD preventive medications). We know that in some health domains that counselling definitely helps (eg, the Quitline in NZ is a well-studied effective and cost-effective intervention ) – but what about dietary counselling? What does the most recent evidence in major reviews show? These findings are not encouraging, but not altogether unexpected due to lag-times from any dietary change to disease event and death rates, difficulties in both measuring diets and sustaining dietary change, and the small effect sizes that require large and well-conducted studies to detect. But more favourable findings came from the meta-analyses in this review of “intermediate” health-related outcomes. These included evidence of small, statistically significant improvements in: blood pressure, cholesterol levels (LDL and total), body mass index (BMI), waist circumference, and weight (see Table 1 in the Appendix below for more details). Various behavioural outcomes were also favourable (eg, increased intake of fruit and vegetables, lower sodium intake, and higher physical activity per week). But there was no clear evidence of an association with some lipid changes (HDL cholesterol, triglycerides), or fasting glucose level (except for the latter benefiting from high-intensity interventions). “There was evidence of a dose-response effect, with an association between increasing intervention intensity and larger improvements in intermediate outcomes, but insufficient evidence to assess the effects of low-intensity interventions alone on intermediate outcomes.” There were relatively few low-intensity dietary counselling interventions included in the review compared to medium and high-intensity ones. A particularly valuable feature of this systematic review was its contextualisation with previous work – including 6 diet-related Cochrane Reviews, and the previous US Preventive Services Task Force (USPSTF) Review in 2010 . There was fairly high compatibility between findings reported and this past work. Nevertheless, a Cochrane Review published in 2012 did report a reduction in cardiovascular events in trials involving dietary reductions in saturated fat and/or modifying dietary fat compared with usual diets among persons at high or low risk for CVD . Also of note is that this Patnode et al Review included four NZ-based trials, but all of them were on physical activity interventions [5-8]. Another recent (2017) systematic review examined counselling by dietitians in primary care , although it did not generate pooled estimates in a meta-analysis. This work found that most trials had benefits in the health-favouring direction (18 out of 26 trials with CIs excluding the null) for dietary, anthropometric, or clinical indicators. A meta-analysis of 5 trials published in 2017  has also considered dietary advice to people with diabetes from nurses or doctors or individualised nutrition therapy provided by a dietitian. It reported that in the first year of intervention (at 6 or 12 months), nutrition therapy from a dietitian was superior in terms of significantly: lower mean difference in HbA1c (a key measure of blood glucose control), lower BMI, lower body weight, and more favourable impacts on cholesterol. The studies and reviews in Table 2 in the Appendix generally suggest that dietary counselling is cost-effective. Nevertheless, some interventions were not cost-effective (and were indeed very cost ineffective as per a US study of counselling in primary care for people with high BMIs ). Also this particular body of literature has been critiqued for its limited methodological quality . Indeed, we are cautious about suggesting that dietary counselling is “generally cost-effective overall” since the literature may suffer from publication bias, and because some of the analyses are based on short-term trials and so don’t consider if the dietary changes are sustained in the long-term. In NZ, our own modelling work suggests that dietary counselling for reducing dietary sodium (salt) intake is cost-effective. However, all the 31 other sodium reduction interventions modelled were better value-for-money (actually all were cost-saving over the long-run allowing for future reduced disease rates), see the BODE3 online interactive league table. Nevertheless, some potential ways in which cost-effectiveness might be enhanced include group-based interventions (vs individualised ones; so long as effectiveness not compromised too much)  and also the use of new technologies (e.g., teledietetics) . Other technologies (digital assistants on smartphones and on home-based devices) may also have a possible role in improving the effectiveness and cost-effectiveness of dietary counselling (eg, Wilson et al’s (2017) study on smartphone digital assistants and health advice ). We also suspect that further examination of the literature (regarding intensity, setting and who is delivering the counselling) may allow for further considerations around cost-effectiveness. Such research is part of our on-going work plan. Comment – what might central and local government policy-makers do next? Ideally central government policy-makers should prioritise addressing the key drivers of the obesogenic environment, over dietary counselling. They could consider taxes on junk food and soft drinks (as per other countries ), limits on junk food marketing to children, banning sugary drinks in schools, upgraded food labelling regulations, and improving walking/cycling infrastructure (see this blog for the latter in the US). These interventions are likely to have greater and more lasting health impacts, and possibly might make dietary counselling become more effective (via making the advice easier to adhere to). More specifically for preventing CVD, our NZ modelling work suggests various regulatory interventions (eg, setting limits on sodium in processed foods) would achieve larger health gains and be cost-saving relative to dietary counselling [19-21]. Local government could also address the obesogenic environment by investing more in walking and cycling infrastructure, making parks more attractive to exercise in, and improving walkway quality . Councils can also address the lack of drinking fountains in NZ’s playgrounds and parks [23, 24] – to provide alternatives to sugary drinks and support outdoor activities in hot summer months. Councils can also restrict sales of sugary drinks/junk food on council-owned properties such as gyms and community centres, and advocate for central government to act (eg, on the policies in the paragraph above). We suspect that these environment modifying measures may also favour reductions in health inequalities – since they are not dependent on differential access to health services by different social groups. Indeed, this pro-equity impact has been described for tobacco control in NZ (eg, for increases in tobacco tax ). Despite our judgement that a strong focus on the obesogenic environment is best, it is still important to consider a comprehensive approach which may include such options as individual counselling, group counselling, and various mixes of app-based/internet-based and telephone-based support (eg, as per the NZ Quitline). But we still need more research to determine which mix of these is optimal for maximising benefit in the most cost-effective way for the different socio-demographic groups in NZ. The evidence from recent reviews suggests that dietary counselling is effective though the benefits are typically modest and may be limited in duration. The literature on cost-effectiveness is mixed and we are somewhat skeptical of its value given the typically short-term trials involved. Overall policy-makers should ideally prioritise addressing the obesogenic environment where gains are potentially larger and the interventions are probably better value-for-money. Acknowledgements: Some of our work in the diet domain is support by grants from the Ministry of Business, Innovation and Employment (MBIE) (UOOX1406) and from the Health Research Council (16/443). (-1.77 to -0.75) 22 Small but statistically significant benefit, but much less than achievable with a strict low-sodium diet or by taking blood pressure lowering medication. (-0.82 to -0.16) 23 Very small but statistically significant benefit. (-4.30 to -0.85) 13 Small but statistically significant benefit. Much less than achieved with a very healthy diet or by taking medication. (-4.95 to -0.75) 19 As above. (-1.05 to 0.71) 15 Very small change and a non-significant result. (-5.05 to 1.42) 13 Small change in a beneficial direction – but not at a statistically significant level. (-1.22 to 0.5) 13 Small change in a beneficial direction – but not at a statistically significant level. But the meta-analysis of just the high intensity interventions – did show a statistically significant benefit. (-0.62 to -0.19) 20 Small beneficial change at a statistically significant level. (-1.56 to -0.51) 20 Modest beneficial change of around 1kg at a statistically significant level. (-1.79 to -0.59) 17 Small but statistically significant beneficial change. Nghiem N, Cleghorn CL, Leung W, Nair N, van der Deen FS, Blakely T et al. A national quitline service and its promotion in the mass media: modelling the health gain, health equity and cost-utility. Tob Control. 2017;(E-publication 24 July). Patnode CD, Evans CV, Senger CA, Redmond N, Lin JS. In: Behavioral Counseling to Promote a Healthful Diet and Physical Activity for Cardiovascular Disease Prevention in Adults Without Known Cardiovascular Disease Risk Factors: Updated Systematic Review for the US Preventive Services Task Force. edn. Rockville (MD); 2017. Lin JS, O’Connor E, Whitlock EP, Beil TL, Zuber SP, Perdue LA et al: Behavioral Counseling to Promote Physical Activity and a Healthful Diet to Prevent Cardiovascular Disease in Adults; Update of the Evidence for the U.S. Preventive Services Task Force Evidence Syntheses, No. 79. Rockville (MD): Agency for Healthcare Research and Quality (US); 2010. Hooper L, Summerbell CD, Thompson R, Sills D, Roberts FG, Moore HJ et al. Reduced or modified dietary fat for preventing cardiovascular disease. Cochrane database of systematic reviews (Online). 2012(5):CD002137. Elley CR, Kerse N, Arroll B, Robinson E. Effectiveness of counselling patients on physical activity in general practice: cluster randomised controlled trial. BMJ. 2003;326(7393):793. Kolt GS, Schofield GM, Kerse N, Garrett N, Oliver M. Effect of telephone counseling on physical activity for low-active older people in primary care: a randomized, controlled trial. Journal of the American Geriatrics Society. 2007;55(7):986-992. Lawton BA, Rose SB, Elley CR, Dowell AC, Fenton A, Moyes SA. Exercise on prescription for women aged 40-74 recruited through primary care: two year randomised controlled trial. BMJ. 2008;337:a2509. Hargreaves EA, Mutrie N, Fleming JD. A Web-Based Intervention to Encourage Walking (StepWise): Pilot Randomized Controlled Trial. JMIR Res Protoc. 2016;5(1):e14. Mitchell LJ, Ball LE, Ross LJ, Barnes KA, Williams LT. Effectiveness of Dietetic Consultations in Primary Health Care: A Systematic Review of Randomized Controlled Trials. Journal of the Academy of Nutrition and Dietetics. 2017;117(12):1941-1962. Moller G, Andersen HK, Snorgaard O. A systematic review and meta-analysis of nutrition therapy compared with dietary advice in patients with type 2 diabetes. The American journal of clinical nutrition. 2017;106(6):1394-1400. Melvin CL, Jefferson MS, Rice LJ, Nemeth LS, Wessell AM, Nietert PJ et al. A systematic review of lifestyle counseling for diverse patients in primary care. Prev Med. 2017;100:67-75. Tsai AG, Remmert JE, Butryn ML, Wadden TA. Treatment of Obesity in Primary Care. The Medical clinics of North America. 2018;102(1):35-47. Tsai AG, Wadden TA, Volger S, Sarwer DB, Vetter M, Kumanyika S et al. Cost-effectiveness of a primary care intervention to treat obesity. Int J Obes (Lond). 2013;37 Suppl 1:S31-37. Fattore G, Ferre F, Meregaglia M, Fattore E, Agostoni C. Critical review of economic evaluation studies of interventions promoting low-fat diets. Nutrition reviews. 2014;72(11):691-706. Pronk NP, Remington PL, Community Preventive Services Task F. Combined Diet and Physical Activity Promotion Programs for Prevention of Diabetes: Community Preventive Services Task Force Recommendation Statement. Annals of internal medicine. 2015;163(6):465-468. Chung LM, Law QP, Fong SS, Chung JW, Yuen PP. A cost-effectiveness analysis of teledietetics in short-, intermediate-, and long-term weight reduction. Journal of telemedicine and telecare. 2015;21(5):268-275. Wilson N, MacDonald EJ, Mansoor OD, Morgan J. In bed with Siri and Google Assistant: a comparison of sexual health advice. BMJ. 2017;359:j5635. Backholer K, Blake M, Vandevijvere S. Sugar-sweetened beverage taxation: an update on the year that was 2017. Public Health Nutr. 2017;20(18):3219-3224. Wilson N, Brander B, Mansoor OD, Pearson AL. Building a reliable measure for unobtrusive observations of street-connecting pedestrian walkways. Journal of urban health : bulletin of the New York Academy of Medicine. 2014;91(6):1129-1135. Thomson G, Wilson N. Playground drinking fountains in 17 local government areas: survey methods and results. N Z Med J. 2018;131(1469):69-74. Wilson N, Signal L, Thomson G. Surveying all public drinking water fountains in a city: outdoor field observations and Google Street View. Aust N Z J Public Health. 2017;(E-pub 18 October). Hagberg LA, Brekke HK, Bertz F, Winkvist A. Cost-utility analysis of a randomized controlled weight loss trial among lactating overweight/obese women. BMC Public Health. 2014;14:38. Kolu P, Raitanen J, Puhkala J, Tuominen P, Husu P, Luoto R. Effectiveness and Cost-Effectiveness of a Cluster-Randomized Prenatal Lifestyle Counseling Trial: A Seven-Year Follow-Up. PLoS One. 2016;11(12):e0167759. Kolu P, Raitanen J, Rissanen P, Luoto R. Cost-effectiveness of lifestyle counselling as primary prevention of gestational diabetes mellitus: findings from a cluster-randomised trial. PLoS One. 2013;8(2):e56392.